Once again within in one day, an earthquake of magnitude 6.8 on Richter scale hit central Myanmar on Wednesday and the tremors were also felt in parts of eastern India like Guwahat, Patna, Kolkata, and in the state of Tripura. The Geological Survey of US said that the magnitude of the quake was 6.8 on the Richter scale. As per the report of AFT that the quake struck at a depth of 84 kilometers, swayed high-rise buildings in the Bangkok, Thailand. 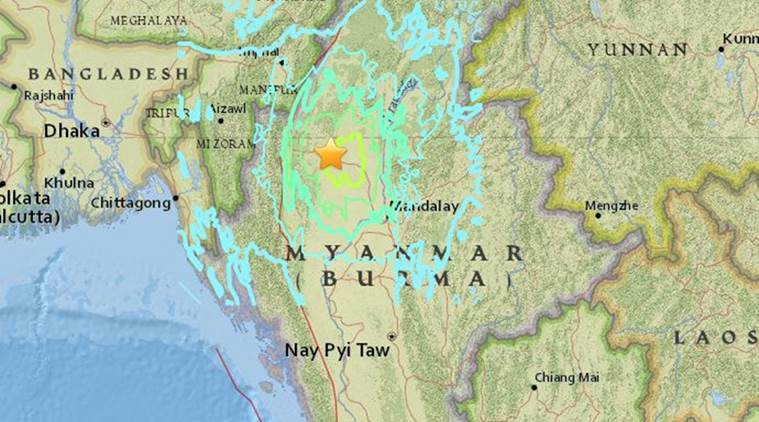 The epicentre of the earthquake was near Chauk, a town on the Irrawaddy River several hundred kilometres northwest of Naypyidaw, Capital of Myanmar. A regional MP from the township in Magway region, Soe Win told AFP that the tremors lasted for several minutes. He said that there was also some sound as well. A pagoda collapsed in Salay and a building also collapsed. As per the ANI reports that Metro services in Kolkata were temporarily suspended after the tremors were felt in the region, but the service have resumed now. 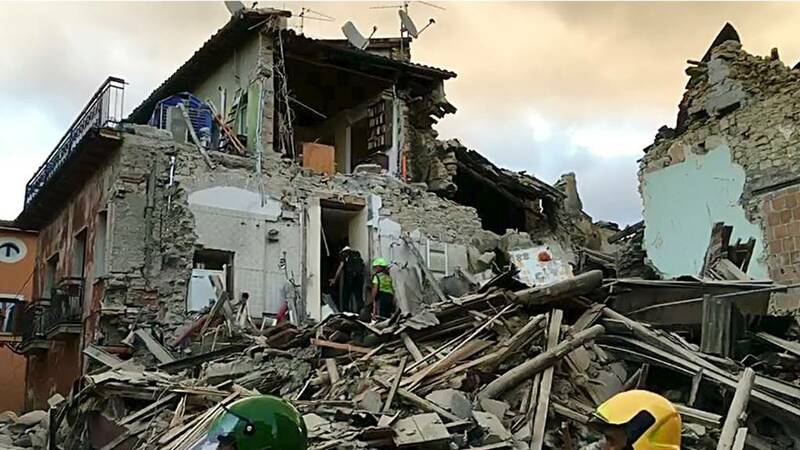 In the morning, today powerful earthquake that rocked central Italy left 38 people dead. 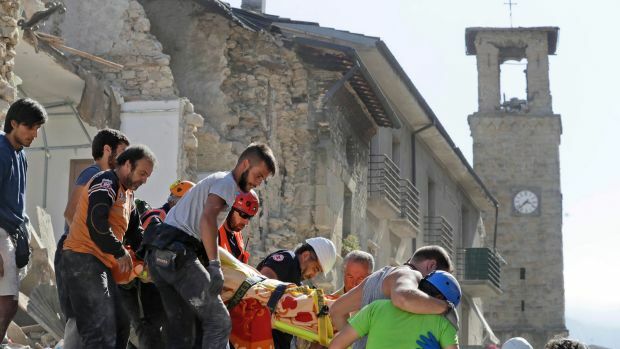 Deaths were reported in the villages of Arquata del Tronto, Accumoli, and Amatrice as residents and emergency services battled to rescue people trapped beneath the ruins after the quake hit as people slept. The magnitude 6 on Richter scale quake in Italy had struck at 3:36 am (1.36 am GMT) and a 5.4-magnitude aftershock followed an hour later. The tremors were felt across a broad swath of central Italy, including Rome where residents of the capital felt a long swaying followed by aftershocks. The forestry police of Italy had said that they have extracted dozens of people alive from hard-hit Pescara del Tronto in Le Marche region, Italy. But the rescue operation have not reached the nearby village of Peracchia di Acqua Santa Terme till now. The main road out of and into the town was covered in debris. Residents were digging their neighbors out by hand.